Democrats running in November's midterms were warned Friday not to use devices produced by Chinese manufacturers ZTE and Huawei. The warning, which came from the Democratic National Committee, was sent out after the DNC learned that a Democratic organization was considering buying ZTE phones for its staff, a senior Democratic source told CNN. "It's very important that party and campaign workers not use ZTE or Huawei devices, even if the price is low or free," Bob Lord, the DNC's chief security officer, wrote. He added, "please make sure that you are not using or purchasing ZTE or Huawei devices anywhere within your staff - for personal or work-related use." In February, top officials from the CIA, NSA, FBI and the Defense Intelligence Agency testified in front of the Senate Intelligence Committee that the Chinese smartphones makers posed a security threat to American customers. FBI Director Christopher Wray told the commitee the FBI is "deeply concerned that any company beholden to foreign governments that don't share our values are not companies that we want to be gaining positions of power inside our telecommunications network." Following Wray's comments, Huawei said in a statement, "We operate in 170 countries where there is trust with governments and customers. We pose no greater cybersecurity risk than other vendors." ZTE said at the time, "As a publicly traded company, we are committed to adhering to all applicable laws and regulations of the United States, work with carriers to pass strict testing protocols, and adhere to the highest business standards." 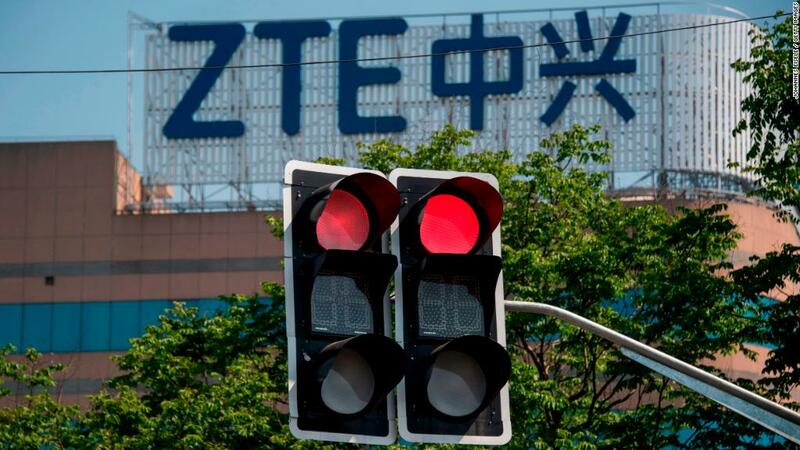 In July, the U.S. lifted an export ban on ZTE, which had been in place since April. The Commerce Department agreed to lift the ban after the company paid a $1 billion fine and put $400 million in an escrow account. The company had become a bargaining chip in trade talks between the United States and China. The DNC declined to comment on the warning. CNN has reached out to ZTE and Huawei for comment. -- CNN's Julia Horowitz contributed reporting.